Fall is the time of year to enjoy the scenery. Just take in the sights and get out your warm clothes. Hunting season, Thanksgiving and Christmas are just around the corner. It’s a beautiful season and admit it, sometimes you let things go as the temperatures drop and you stare into the woods waiting for snow. It happens every year. 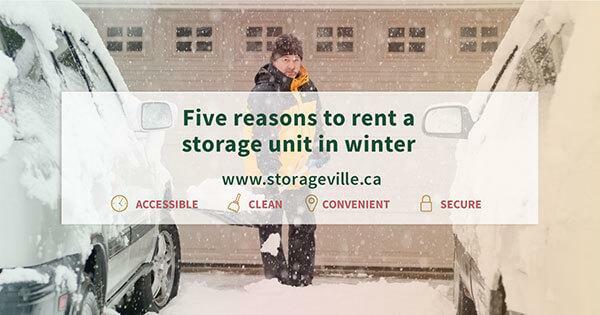 You’re not alone if you debate whether to rent a storage unit in winter. Being frugal, some may decide not to, but here are five reasons to rent a storage unit this winter. With snow starting as early as November in Winnipeg, with the temperature dropping quickly, combines for reasons to be outside less. A scene any Winnipegger all knows too well – stepping outside to clean the car off, start it, and letting it run for several minutes before driving to your destination. Because of the additional time this has taken, now you’re running late. This is all because you have no room in your garage for your car. If you had rented that storage unit, your garage would be free of the clutter. This allows room for your car, which is always clean and ready to go. There’s no more worrying about planning an extra half an hour in the morning this winter, thanks to your storage unit. Every spring is the same story. 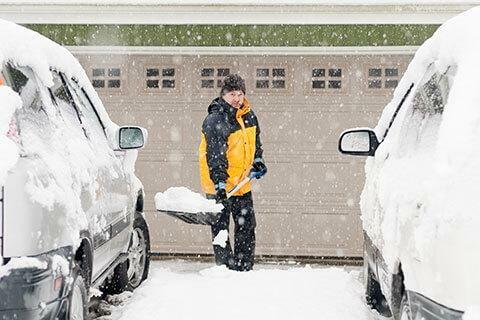 The thawing snow gives way to your property in dire need of maintenance. The gutters need cleaning and the lawn is due for some patching. Digging through the garage only to find things broken or missing is never fun. A storage unit keeps your yard tools away from rummaging hands and out of your way in the winter. When you need the weed whacker, it’s not twisted up under your daughter’s science project from last semester, thanks to a rented storage unit in winter. 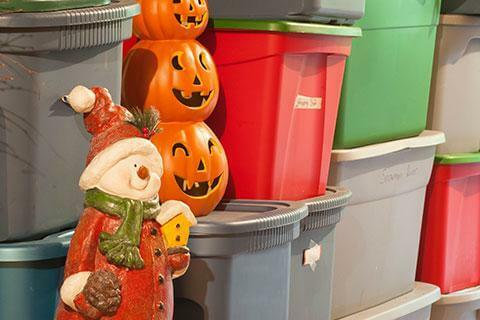 What does Christmas have to do with renting a storage unit in winter? When family members are coming for Christmas, someone inevitably yells, “Go find the bedding for the spare rooms. Get the boxes of decorations too.” Finding your great grandmother’s ornament shattered in the bottom of a box is a bad start to your holidays. Replacing broken bulbs in your Christmas lights can seem like it takes forever. There won’t be any broken ornaments, bulbs or moth bitten pillowcases if they have been tucked away safely in a storage unit this winter. Buying new batteries to replace the ones that froze can damper spending time on your toys or maintenance tools in the summer. There’s nothing worse than getting ready to mow the lawn for the first time but the mower won’t start. Maybe it’s your son’s dirt bike or the summer car you parked covered in the backyard that’s giving you trouble. Thanks to renting a temperature-controlled storage unit in winter, you won’t be wasting time and money replacing batteries that no longer hold a charge. Your summer vehicles will thank you too. Are you a family of “do-it-yourself-ers” as the dull months of winter stretch on? Cabin fever is a good time to paint that bedroom or fix up those rustic kitchen cabinets. Your “to-do list” may have dozens of projects to improve your home and property. However, many projects around the house take up a lot of room. Drop cloths, lumber, tools and a whole bunch of other things get spread around. 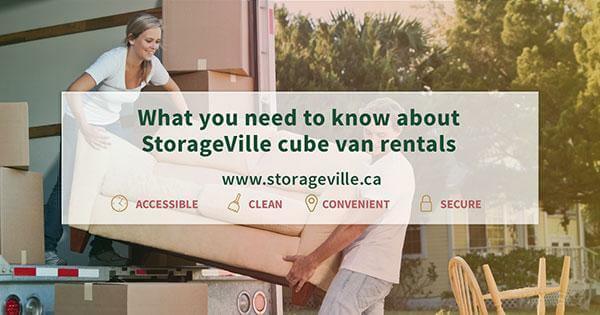 Renting a storage unit in winter is a good way to manage your space. Use what you need when you need it and store the rest. Your children will thank you and the house will feel more organized, relieving everyone’s cabin fever in a small way. 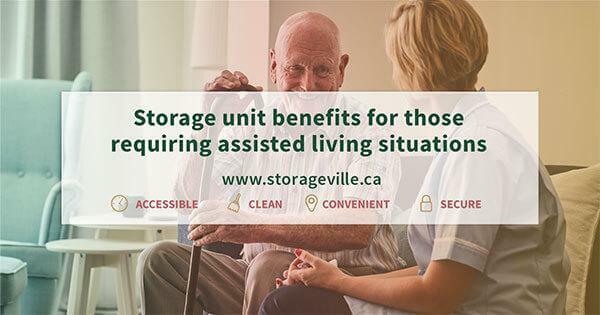 Those who called StorageVille and rented a storage unit in winter saved money, promoted domestic tranquillity and found a way to organize better. We urge that this sort of planning and organization will only make life better. If the simple act of renting a storage unit in winter did this for our customers, imagine what it can do for you. 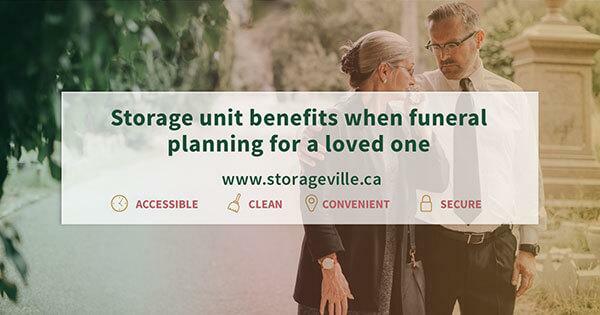 Maybe your family is different, but odds are you could come up with more reasons to call StorageVille this winter. 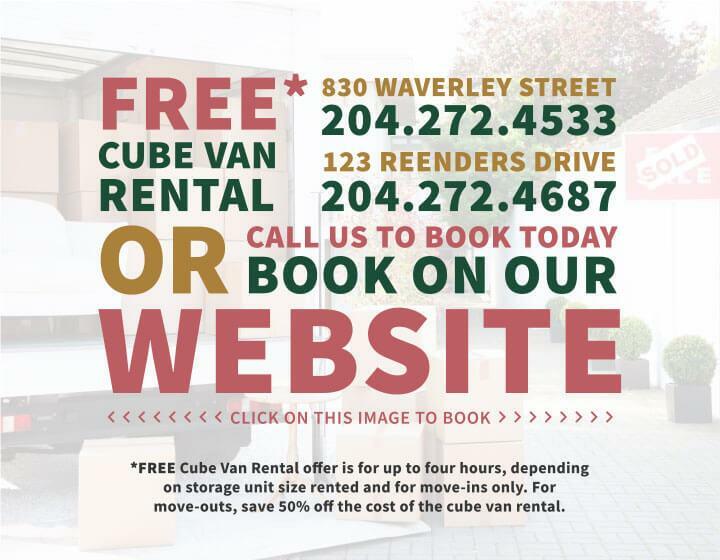 Reach out to us at the location which is most convenient for you – for Waverley call: 204.272.4533 or for Reenders call: 204.272.4687 – or visit our website and contact us for all general inquiries.